Things look normal: Henry (Liam Mitchell) and Patricia (Barbara Bleier) are celebrating Patricia’s birthday with their friends – Patricia’s ex Julian (Austin Pendleton), Chris (David Johnson) and Ayden (Juri Henley-Cohn) who both have found surrogate parents in Henry and Patricia, and Ayden’s partner Breyanna (Suzette Gunn). As their talking turns to politics, it becomes clear, though, that tensions are high and ouright nuclear war seems just around the corner. Usually nuclear war is used in films to conjure up a post-apocalyptic scenario, or it is used as a threat that the (action) heroes of the story have something to prevent. 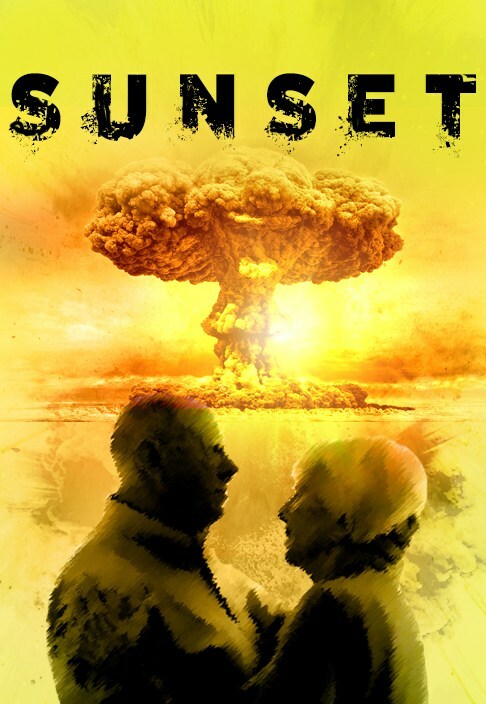 In Sunset’s case, it’s the backdrop for a thorough and thoughtful character study that stumbles sometimes, but remains engaging throughout.